Hello, Karen from The Bald Dragonfly here, with a clean and simple beauty to show you today! I started by trimming a piece of Ultra Smooth White Cardstock to 4 1/4 x 11 inches, scored at 5 1/2 and folded it in half. On the front, I stamped the various sized solid stamps of the wildflowers in Sweet Sixteen Ink, filling the entire card front. 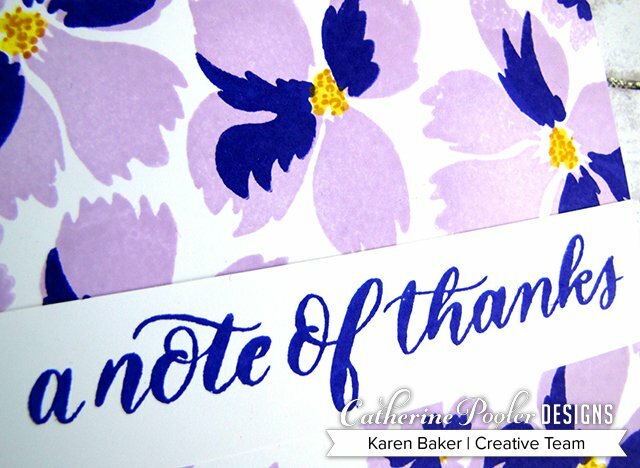 I stamped the detail solid stamps of each corresponding flower with Grape Crush Ink. To finish off the flowers, I stamped the centers with Limoncello Ink, topped off with the detail stamps stamped in Sauna Ink. 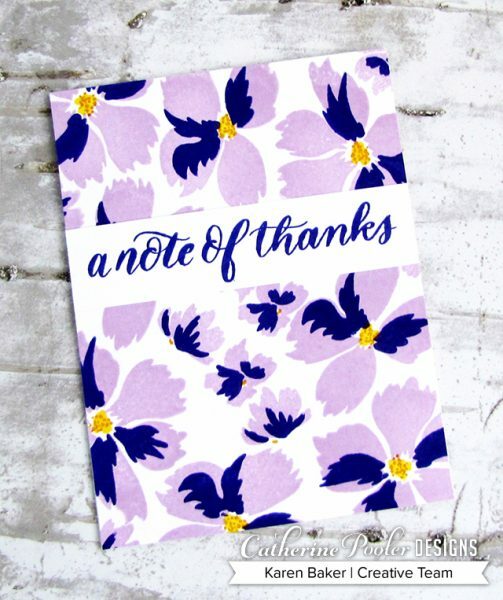 Finally, I stamped a sentiment from A Note of Thanks in Grape Crush on a 1 x 4.25″ panel and adhered it to the card front. 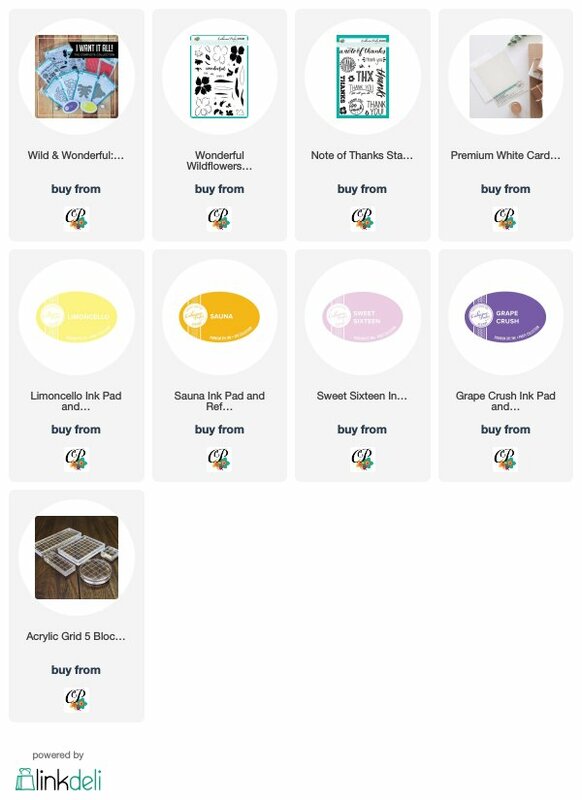 Imagine the possibilities with all the ink color combinations available with Catherine's Inks! Try Be Mine with Party Dress (pinks), Tiki Torch with Orange Twist (orange), Limoncello with Sauna (yellow)! How pretty would a set of these be? ?